On this special episode we discussed “the most weird and unique beer that we you have had?”. 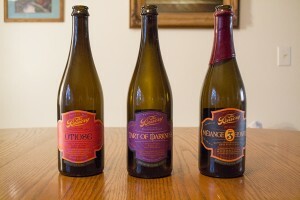 We then reviewed three beers in from a local brewery, The Bruery. 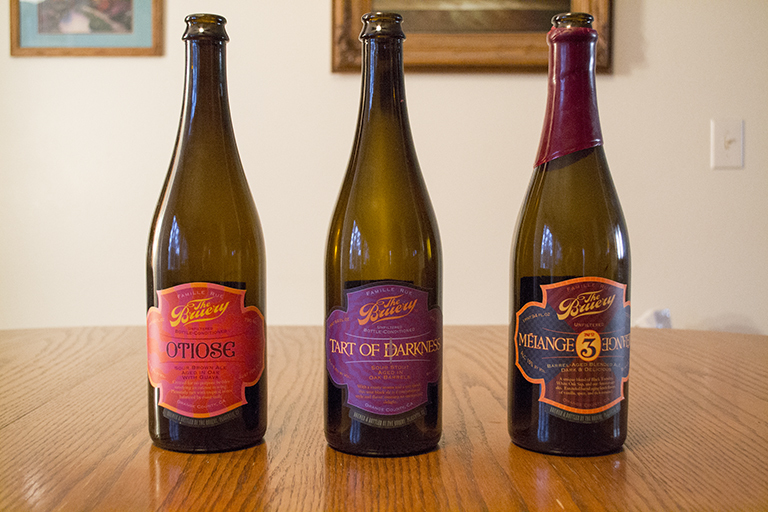 We had the luck of getting Otiose, Tart of Darkness, Melange #3. Two of those were from The Bruery’s 2013 Reserve Society. Posted in Blind Taste Testing (2011 - 2013) and tagged Aged Beers, melange #3, otiose, sour beers, special, tart of darkness, The Bruery, three beers, weird and unique.